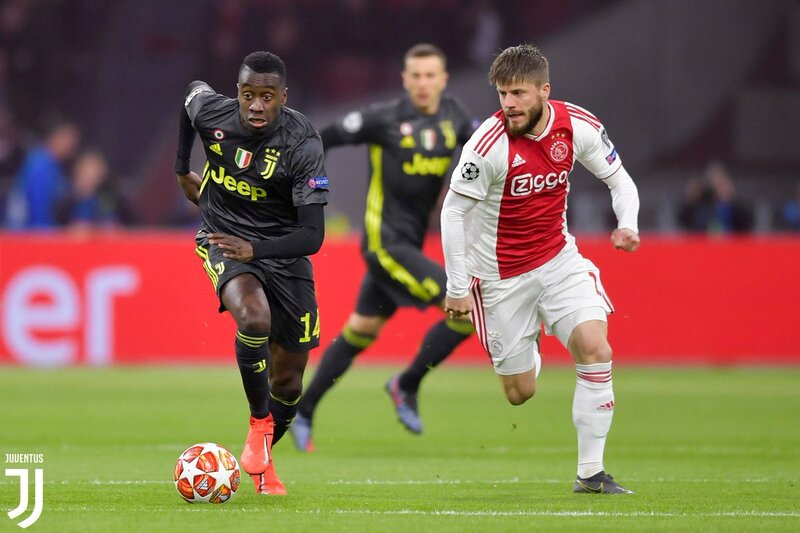 The UEFA Champions League Quarterfinals First Leg game Ajax vs Juventus ended with a 1-1 draw at the Johan Cruijff ArenA in Amsterdam, Netherlands. The Second Leg will be played on Tuesday 16 April at the Allianz Stadium in Turin. Chances for qualification to the Semifinals are open for both teams. OH MY GOSHHHHHHHH allow me to shout GOALLLLLLLLLLL I am just crying of joy!!!! It is Mr. Champions League Cristiano Ronaldo to open the score to give the lead to Juventus in the 45th minute just before ending the first half. 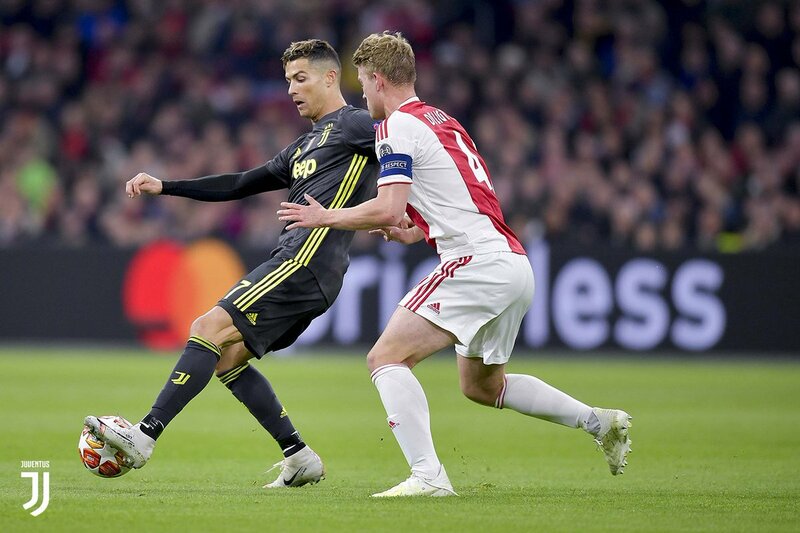 Cristiano defeating Ajax goalkeeper Andre Onana with a headed shot in the bottom right corner. The assist is by João Cancelo. This is the 125th goal by Cristiano Ronaldo in the UEFA Champions League. Oh well, bad nes. Ajax equalizing for the 1-1 in the 46th minute. 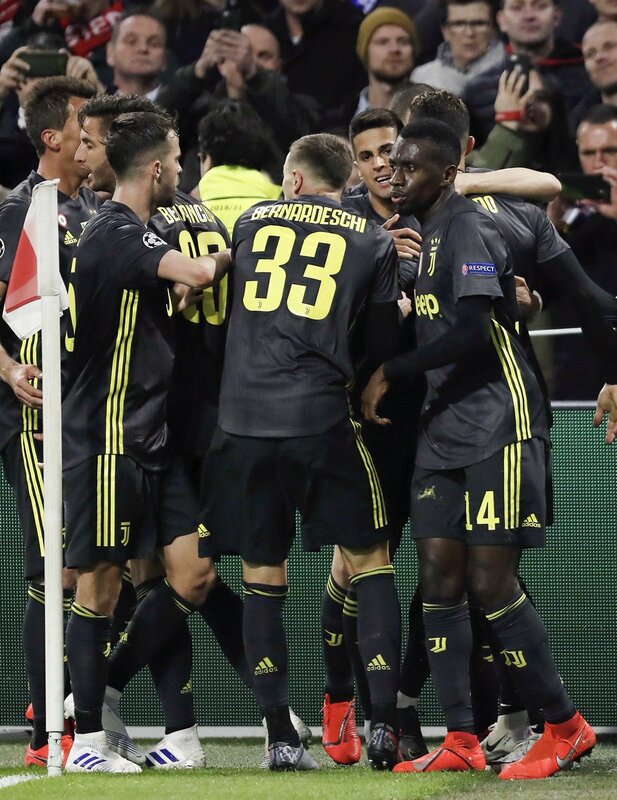 It is David Neres to score defeating Juventus goalkeeper with a right footed shot in the bottom right corner. What a luck!!!!! AJAX (4-3-3): Onana; Tagliafico, Blind, De Ligt, Veltman; De Jong, Van de Beek, Schöne; Neres, Tadić, Ziyech. JUVENTUS (4-3-3): Szczesny; Cancelo, Bonucci, Rugani, Alex Sandro; Bentancur, Pjanic, Matuidi; Bernardeschi, Mandzukic, Cristiano Ronaldo. 📝 STARTING XI | Our ⚪⚫ line-up for #AjaxJuve! Subs: Varela, Kristensen, Sinkgrave, Huntelaar, Magallan, Dolberg, Ekkelenkamp. Subs: Perin, De Sciglio, Khedira, Dybala, Douglas Costa, Kean, Spinazzola.